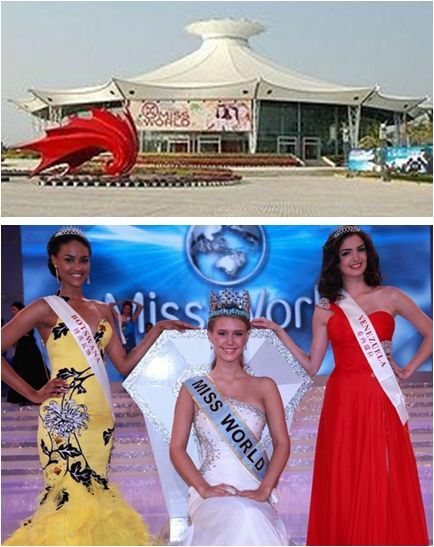 Miss Alexandria Mills – the 18 years old, standing 5 feet 9 inches tall, blonde with blue eyes became the blue eyed of all selectors when she was finally declared the Miss World 2010 on 30th October in a beautiful closing ceremony held at Crown Convention Center in Sanya, China (above top). Hailing from Louisville, USA, she became the 60th Miss World. Emma Wareus of Botswana became the first runner up while Miss Venezuela Adriana Vasini was named the second runner-up. In her final 30 seconds decisive speech, Miss Mills said that she wanted to make an impact on others life and would like to help every people that she possibly could. A beauty model herself, she aspires to become a teacher.